You have undoubtedly picked up this book by mistake, so please put it down. 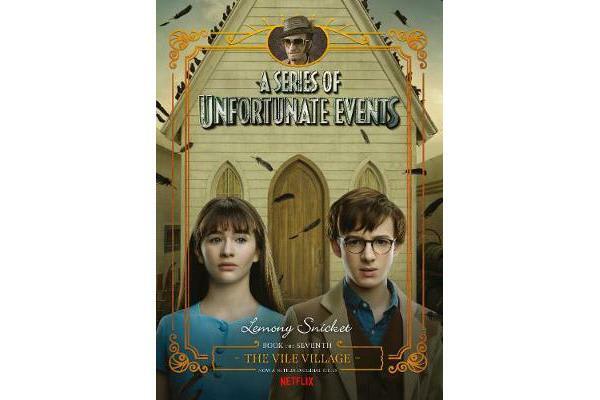 Nobody in their right mind would read this particular book about the lives of Violet, Klaus, and Sunny Baudelaire on purpose, because each dismal moment of their stay in the village of V.F.D. 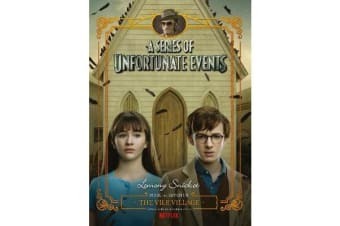 has been faithfully and dreadfully recorded in these pages. I can think of no single reason why anyone would want to open a book containing such unpleasant matters as migrating crows, an angry mob, a newspaper headline, the arrest of innocent people, the Deluxe Cell, and some very strange hats. It is my solemn and sacred occupation to research each detail of the Baudelaire children’s lives and write them all down, but you may prefer to do some other solemn and sacred thing, such as reading another book instead.